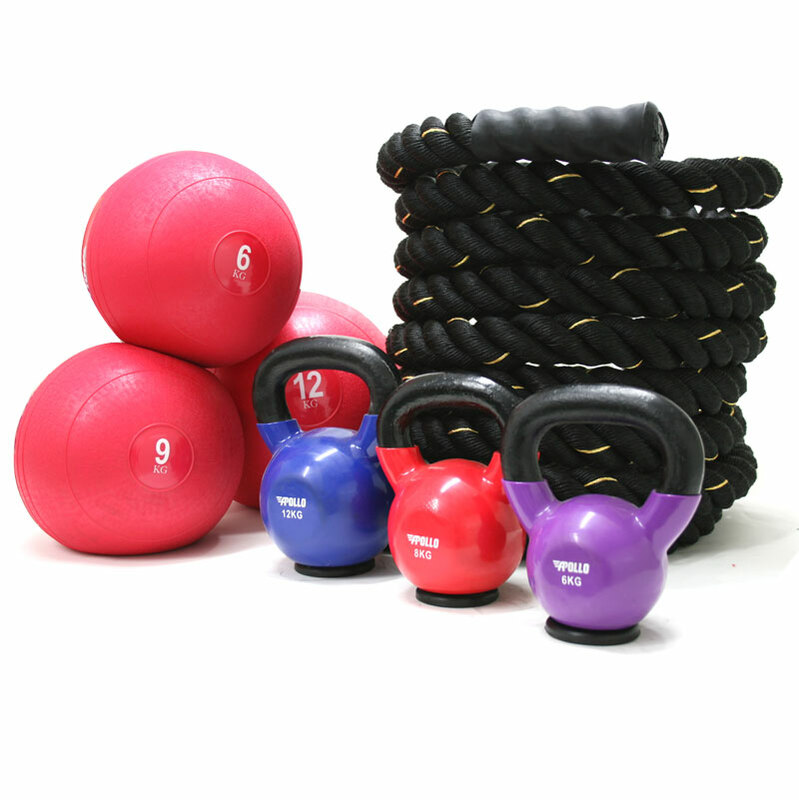 The Apollo Personal Trainer Pack comes with a selection of slam balls, kettlebells and a battle rope. This is great for a PT just starting up as this equipment offers a wide variety of exercises to use with clients. 1 x 6kg, 9kg, 12kg Slam Balls. 1 x 6kg, 8kg, 12kg Kettlebells. 1 x 10m Battle Rope. This is a great package for small outdoor group or PT. The rope is just the right size (I have one smaller and one bigger but this one is perfect) and the balls are easy to grip. Definitely recommend! This is a great starter pack for anyone that's looking to get into personal training or just wants to train themselves at home.